Geometry can be such a FUN unit to teach!! 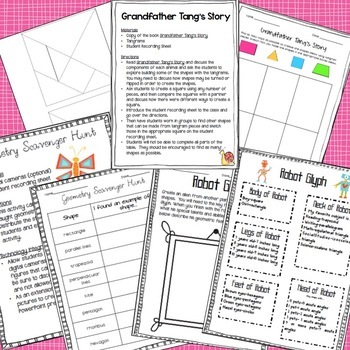 This geometry unit contains hands-on activities, sorts, worksheets, graphic organizers, and games! 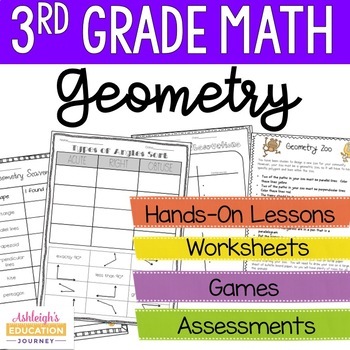 It's centered around the Common Core Standards but can be used with almost any geometry curriculum! There is also a geometry vocabulary journal for students to complete. The games include I Have Who Has and Geometry Concentration, which is a great work station activity! Answer keys are included for the worksheets. With this unit students will develop geometry vocabulary and reasoning skills. 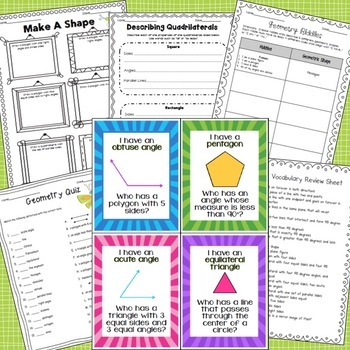 Students will practice identifying and describing the characteristics of quadrilaterals such as squares, rectangles, trapezoid, rhombus, and kite. Students will also identify and draw plane figures such as pentagons, hexagons, and kites. 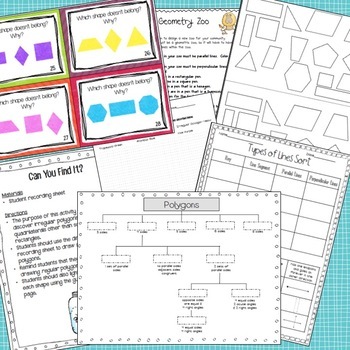 Check out these other math units!